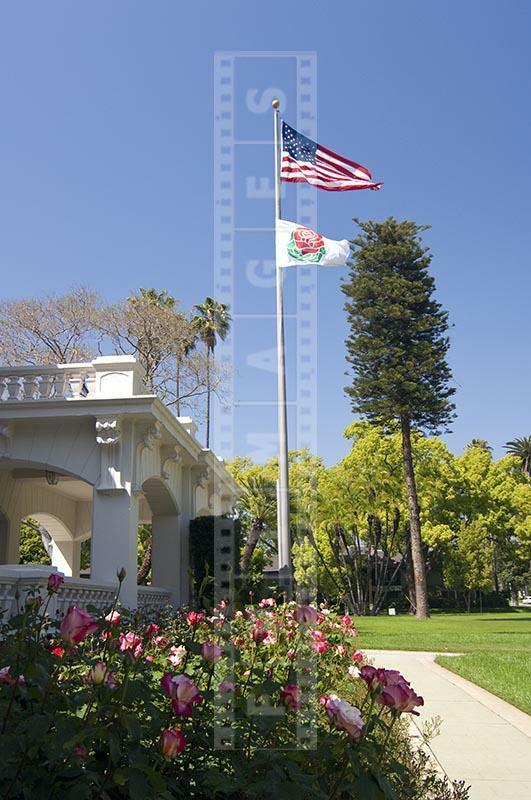 Wrigley Mansion – as it was once known now houses permanent headquarters of Tournament of Roses in Pasadena, California. 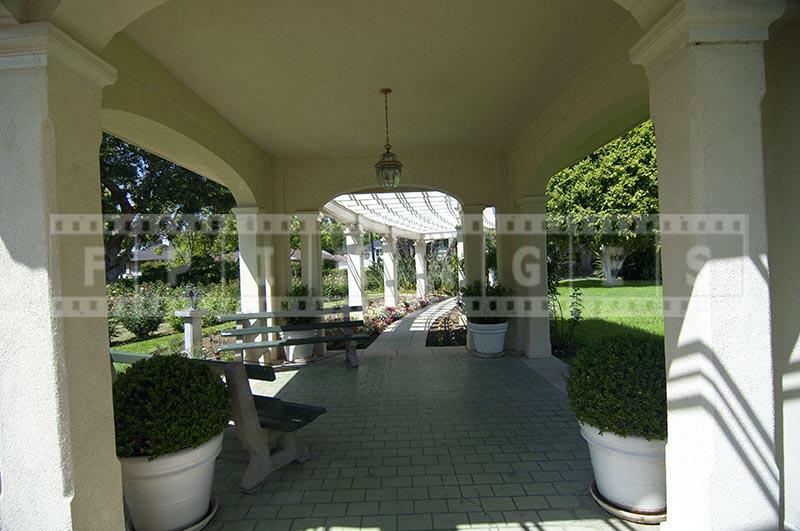 Wrigley Gardens are part of the property and are opened to the public. 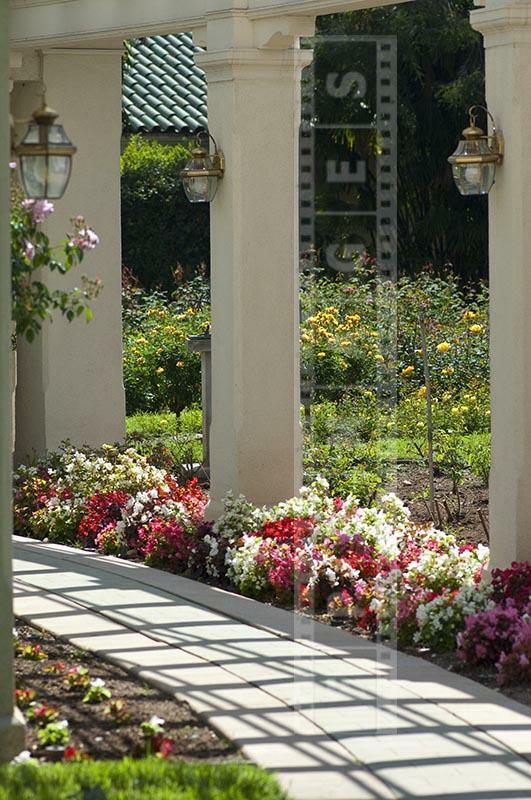 The building, the grounds and the gardens are beautifully maintained and are well worth the visit. 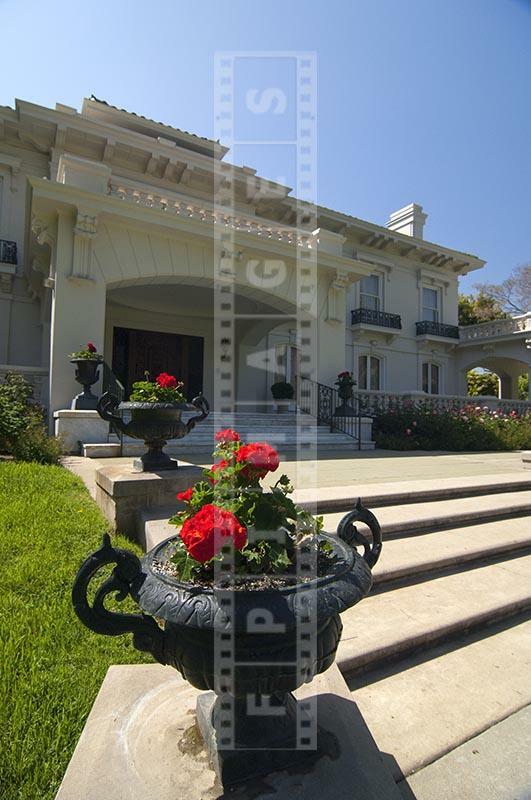 The building is located on South Orange Grove Street – prestigious part of Pasadena. 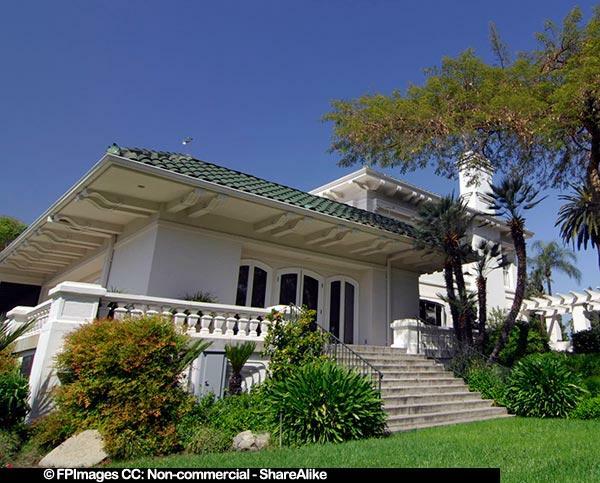 Wrigley building is very close to Colorado boulevard and Norton Simon Museum, Colorado street Bridge and another architectural gem – the Gamble House. This area offers a nice walk and lots of photo opportunities. In front of the Wrigley building there is a large beautiful lawn. 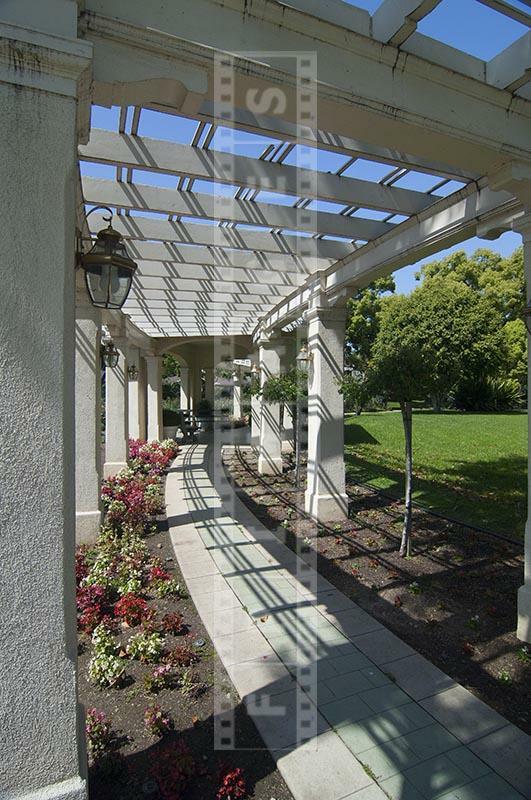 Wrigley rosarium – rose garden, is to the right of the house and beautiful covered walkway leads to it. Large mature banyan tree stays on guard to the left of the building. Every Thursday afternoon between 2-4pm it is possible to take a tour of the interior of the building. Inside one can learn about the history of the Rose Bowl, see trophies and memorabilia. 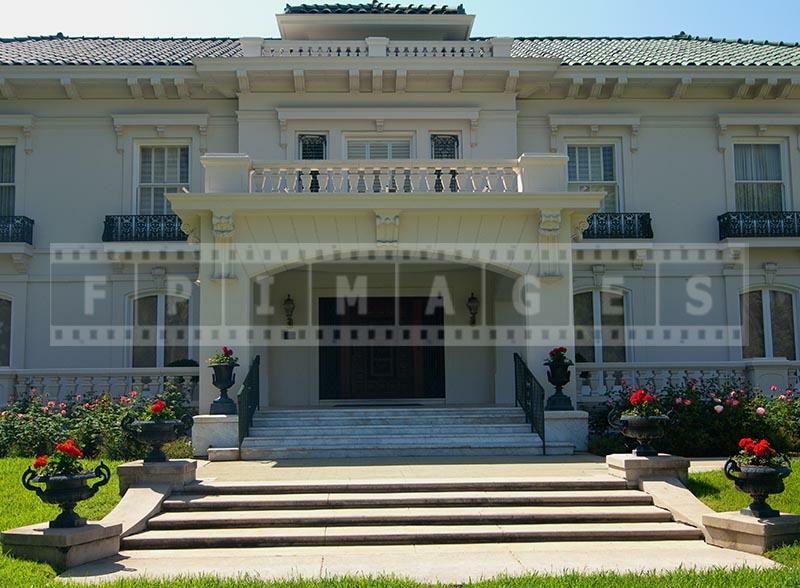 The building was designed by architect Lawrence Simson and completed 100 years ago in 1914. Most of the interior features remain intact – floors, ceilings, fireplaces; original lighting fixtures though were removed. Pictures of Flowers – Tea, Shrub, Floribunda and Other Roses.